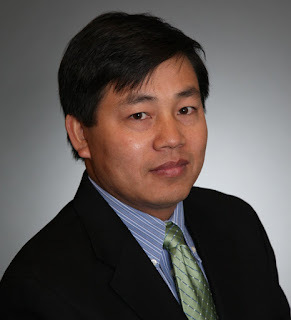 GHT Limited (GHT), a DC metro area mechanical, electrical, and plumbing (MEP) engineering consulting firm, has announced that Principal James Yang, PE, CPD, GPD, LEED AP BD+C has earned the Green Plumbing Design (GPD) designation. The GPD certificate program, sponsored by the American Society of Plumbing Engineers (ASPE) and the International Association of Plumbing and Mechanical Officials (IAPMO), is for engineers and designers with advanced skills in sustainable plumbing system design and consulting. Available only for engineers and designers who hold either the Certified in Plumbing Design (CPD) certification or a Professional Engineer (PE) license, the GPD certificate denotes professionals with a high level of experience and training in sustainable practices. The GPD designation signifies professionals who are dedicated to ensuring the efficient use of our precious water resources via water-conserving plumbing system designs for commercial and residential applications. As the firm’s plumbing discipline leader and plumbing section head for the building systems studio, James provides design guidance, technical support, quality control, and workload management with a focus on thorough documentation and technical accuracy. James’ 20 years of experience includes plumbing and fire protection design, hydraulic calculation for fire protection, and construction phase services for a variety of commercial, governmental, and institutional projects. In addition to his GPD designation, James is a registered professional mechanical engineer in Maryland, Certified Plumbing Designer, and LEED Accredited Professional. He holds a Journeyman Plumber license from the State of Colorado and is fluent in Mandarin Chinese. James studied at the Hubei University of Automotive Technology. GHT provides mechanical, electrical, and plumbing (MEP) engineering solutions for the built environment. Our approach integrates proven techniques with the latest technologies and sustainable design practices. In addition to MEP design and commissioning for base building systems and interiors, GHT offers operations and energy services that enhance building performance and real estate advisory services that inform investment decisions. For more than 50 years, GHT has helped improve efficiency and value for commercial, institutional, and government real estate in the Washington, DC region. Genifuel Corporation, Reliance Industries Ltd., Merrick & Company, Springs Fabrication, and Pacific Northwest National Laboratory (PNNL) have completed design, fabrication, and commissioning of Genifuel’s pilot-scale hydrothermal processing system. The feedstock for the system is wet organic material (up to 85% water), which the system converts by temperature, pressure, and catalysis into oil and methane gas. Both the liquid and gas products are similar to their fossil fuel equivalents. The biocrude oil can be refined by conventional processes into finished fuels such as gasoline, diesel, and jet fuel, while the methane gas can be used to produce renewable electricity. It is now being installed at Reliance’s large algae growth facility in Gagva, India. The system was tested at oil production rates between 1,000 and 2,000 liters per day, which is a much higher throughput than any previous demonstration of the technology and demonstrates its scalability. In addition to algae slurries, the system can process a wide variety of other organic waste slurries. Processing such wet wastes is a “triple win” for the environment, since it remediates greenhouse-gas-emitting wet wastes, produces renewable fuels, and produces clear, sterile water as a byproduct. Other feedstocks that have been tested previously include wastewater solids (sewage sludge), food waste, animal wastes such as dairy cow manure, and many others including chemical processing wastes. All of these waste streams can be similarly converted into useful oil and gas. The technology was originally developed by the U.S. Department of Energy at PNNL in Richland, WA and is licensed to Genifuel Corporation of Salt Lake City, UT, which has jointly developed additional patents with PNNL. Merrick & Company (www.merrick.com) of Greenwood Village, CO engineered and led commissioning of the system, which was fabricated by Springs Fabrication of Colorado Springs, CO.
University of Brirish Columbia researchers discover cure for "concrete cancer"
University of British Columbia researchers have found a more reliable way to make concrete from discarded glass. In a recent study, researchers from UBC’s Okanagan campus were able to calm a chemical reaction that has traditionally caused glass-fed concrete to weaken, expand, and crack, a reaction known as concrete cancer. Concrete cancer occurs when the alkaline properties in cement paste react with silica properties that can occur in recycled concrete additives, such as glass. In their study, Alam and co-researcher Anant Parghi (left above), found that by adding a water-based, synthetic rubber polymer, fly ash, and silica powder to the concrete mixture, they could effectively neutralize negative chemical reactions. GAI offers the on-site corporate MBA program to high-potential employees. GAI’s degree program was specifically designed with employee needs in mind, with course topics and projects related to the firm’s business and industry. The accelerated, fully-accredited MBA program is a cornerstone of GAI’s in-house leadership development initiative and is open to all GAI employees who meet the minimum requirements. Point Park University professors teach classes exclusively to GAI employees at the firm’s Pittsburgh office once a week, with telecasting via Skype for Business available for employees at other locations. Students focus on one class at a time for seven weeks per class. The current MBA class includes 10 employees from five of the firm’s offices, including Pittsburgh-based Project Engineer Todd Wilson, P.E. In business since 1958, GAI Consultants is an employee-owned engineering, planning, and environmental consulting firm providing local expertise to worldwide clients in the energy, transportation, development, government, and industrial markets. The firm has offices throughout the eastern and midwestern United States.